BariatricSurgeryWorld.Com is one straight link to resolutions of weight issues, developed especially for individuals who may have failed in their non-surgical weight-loss efforts. The site has been designed to help those struggling with obesity and its associated health problems, find authentic information about the various types of bariatric surgeries and get an easy access to international doctors and hospitals. Bariatric Surgery World is a private, self-funding organization. We are not a medical practice and do not give medical advice, but we strive to provide our clients with the latest information from leading medical practitioners & institutions. At Bariatric Surgery World, we are focused on bringing solutions and education to individuals looking for weight loss surgery. Our portal makes for one straight destination for people searching for international weight loss surgery destinations. We strive to remove confusion, apprehension, and anxiety from the minds of our clients, and help them plan safe medical trips. Bariatric Surgery World’ is dedicated to providing effective and affordable weight loss services to its clients. We facilitate contact with overseas doctors and hospitals and provide their credentials, so you can decide on the most convenient option. Also, we provide information on various medical procedures and recuperation packages available, so that the clients get a clear picture of the process, and may decide on the best option after consultation with their doctor. 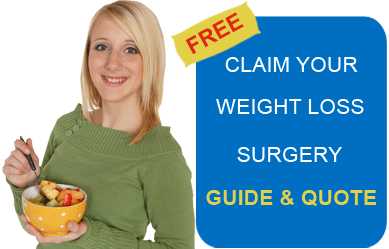 Weight loss procedures at affordable, choice of bariatric surgery destinations. Comfortable and cost effective trip planning, journey, stay, tourist experience and recuperation. A comprehensive guide to the latest and most advanced procedures. Personal experience stories direct from patients, who have undertaken the treatment. Educational seminars, in addition to video interviews of doctors and patients. Taking careful note of the needs of each individual client. Having straight communication with the clients, and maintaining the relationship throughout the experience. Setting up active, direct communication between the client and the medical facility even before the trip begins. Having agents in different parts of the world, where our network medical providers are located, in addition to our physical presence in USA and Asia. Building firm relationships with the state-of-the-art medical facilities & physicians worldwide, and dealing with the leading tourism operators worldwide. 6 years experience in web journalism, creative writing and editing.